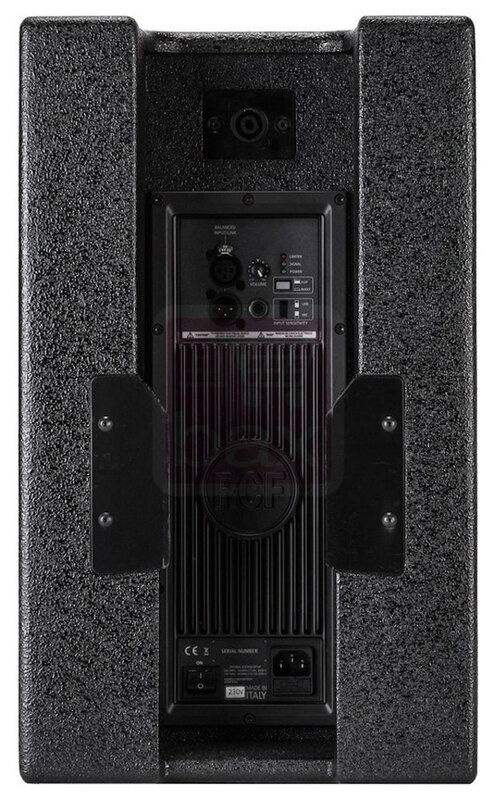 The RCF Evox 8 is a professional, all-in-one, portable line array PA speaker system, ideal for live music applications and DJs. The system includes a 12" subwoofer and an 8 x 2" ultra compact full-range satellite speaker. This brilliant speaker system exceeds the portability and performance of other existing products. 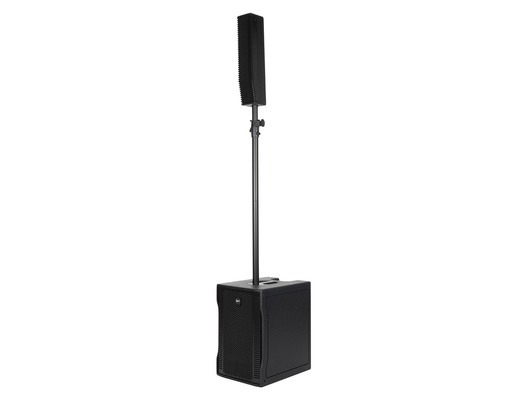 The EVOX 8 array design features constant horizontal directivity coverage of 120°, offering a perfect listening experience to the audience. 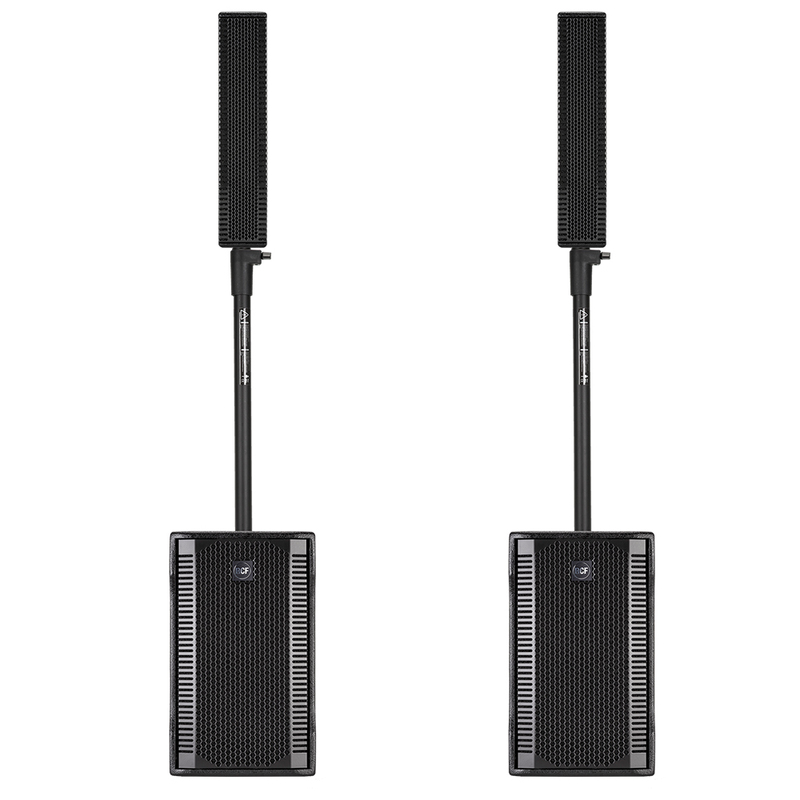 The vertical array design is progressively shaped to guarantee a correct listening from the first row and to avoid a high frequency beaming typical of straight array. The woofer section features a 12" inch driver that, with a 2.5" inside-outside voice coil and a powerful magnetic structure, guarantees a fast and accurate sub-bass frequency range, taking advantage of RCF's superior moulding, assembly technologies and a wealth of professional knowledge and experience dedicated to achieving extremely high standards. 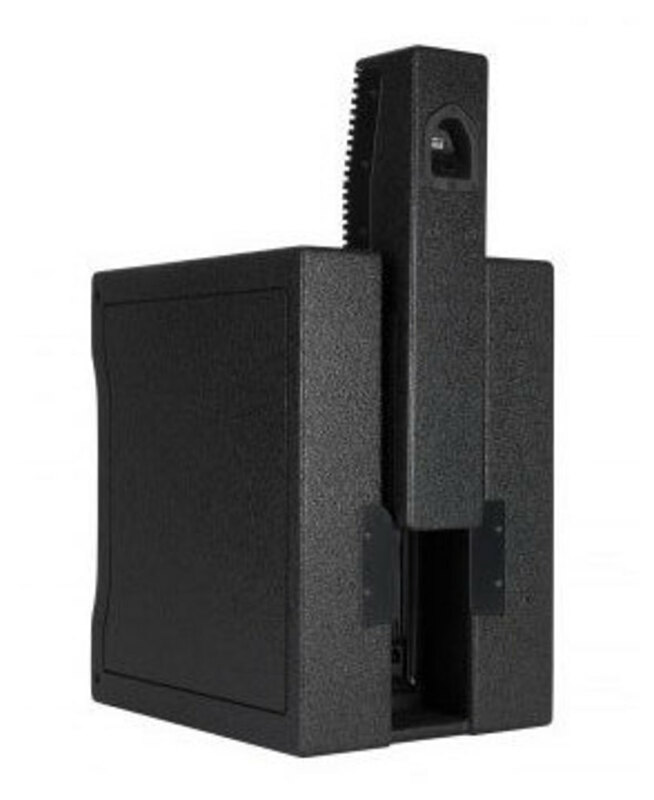 The system is designed to be the perfect portable solution for live music and DJs. 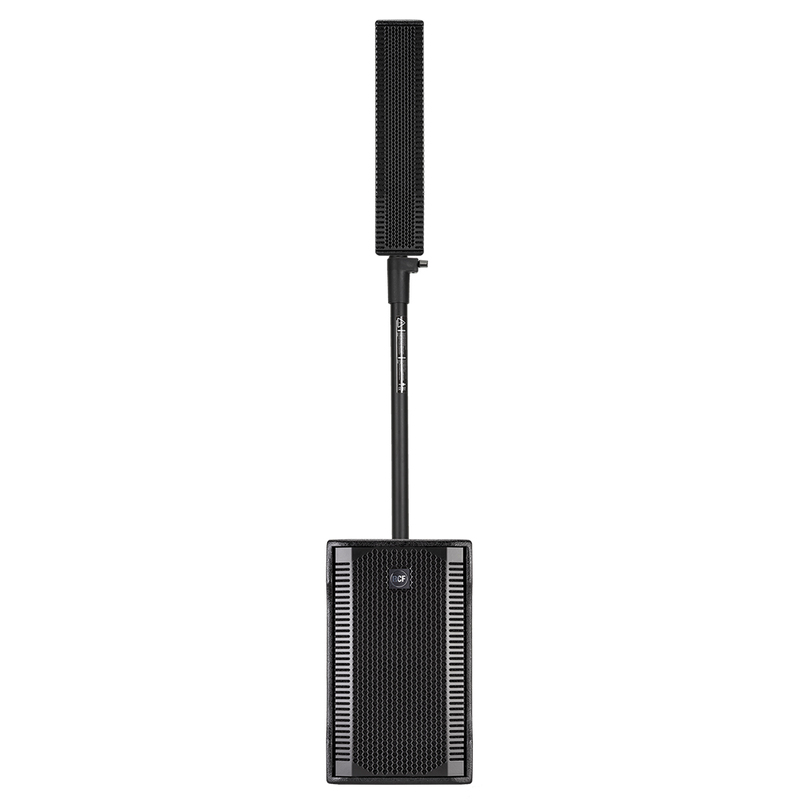 The unique vocal attitude and portability make EVOX 8 the perfect tool for presentations and corporate events. The EVOX DSP processing is the result of many years of experience in line array design combined with innovative and dedicated algorithms. Thanks to the frequency dependent drivers' excursion and control of distortion, our processing is capable to guarantee an incredible and unmatchable output from these small systems.